Logistics System / Warehouse Mgmt. Payments are fast, global, and always on. And for financial institutions, it’s risky. New competitors from different sectors, Powerful new technologies designed to attract more demanding customers. A truly global market with rising cross-border payment volumes, new threats and potential disruptions that seems to come from anywhere and everywhere. Financial companies face a number of significant challenges including new payment channels such as mobile and internet; multi-currency and multi-product payment operations in many different countries; offering superior customer services in a highly competitive and increasingly regulated environment. At the same time, financial companies must deal with pressure from management and shareholders to increase revenues, reduce risk and lower overall operating costs. 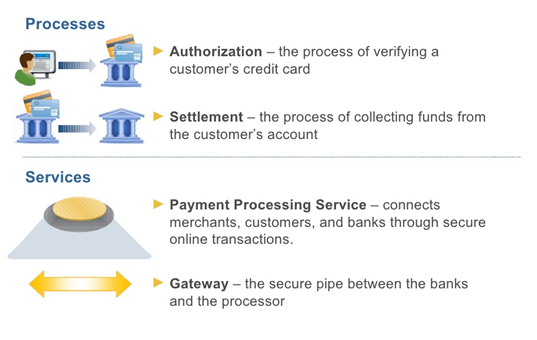 GlobalSys offers a suite of payment solutions that enable financial companies and their business customers to manage and process payments and transfer funds in local and international environments in a cost-effective, secure and reliable way. 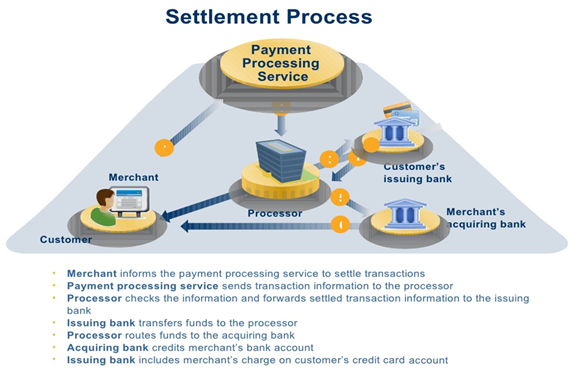 GlobalSys’s straight-through-processing (STP) software solutions help financial companies of every size to manage all types of payments within and across national boundaries. Using GlobalSys’s solutions, financial companies are able to improve customer service, expand into new areas of business easily and reduce operational risk and cost through the entire payment lifecycle. PaymentSmart.com - A global payment platform which integrates different payment types, currencies and systems into one centralized payments hub and provides for mass, high value and immediate payments. The GlobalAgency Online Payment Gateway offers reliable PCI compliant multi-currency payment solutions and complete end-to-end online credit card processing solutions for e-Commerce, mail-order, call centre and telephone order merchants, allowing them to easily accept credit cards online. 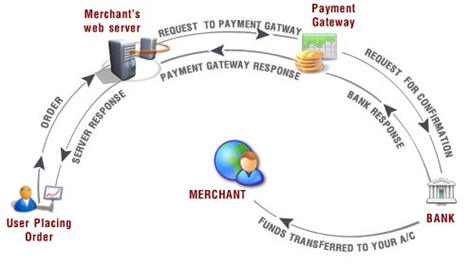 We will bundle your internet merchant account (credit card and ACH), as well offer a robust and flexible billing engine, customer service, dispute resolution services, fraud and risk management, and an extensive web management interface. Our online payment services comes equipped with shop in Your Currency, let you price goods and services in multiple currencies, while you still receive e-Commerce payment and reporting in your own. Our online Payment Solutions (PS) Portal provides you with an easily accessible toolbox of essential resources. From our portal, you can optimize transaction report and run Mail Order/Telephone Order and Subscription transactions. You can also track results in real-time from the PS Portal Virtual Terminal, our reporting functions giving you the ability to manage transaction processing and measure bottom line growth at your fingertips. GlobalAgency is a comprehensive online marketplace where US merchants can offer and sell their goods to the Chinese consumers in RMB or Hong Kong Dollars, accepting payments with UnionPay debit, credit or e-bank transfer. Launched in partnership with International Checkout, GlobalAgency combines the power of UnionPay International with the expertise and experience of industry leaders in e-Commerce technology and international logistics. China has become the world's largest e-Commerce market, with tremendous appeal to U.S. e-tailors. 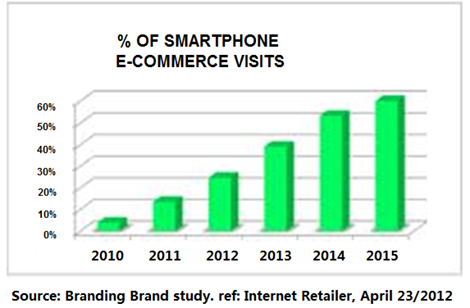 However there are significant obstacles which make it difficult for U.S. merchants to navigate. Effectively marketing to and attracting Chinese consumers can be problematic and costly. 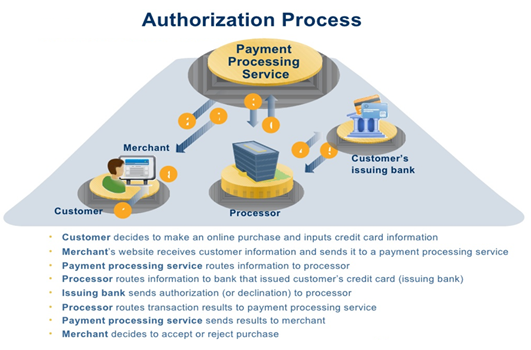 Upgrading payment processing to accept local payment types, as well as handling the logistics of shipping and customs, can also prove overwhelming. GlobalAgency offers a comprehensive solution that answers all the needs of U.S. merchants selling to China online. Click here to learn more about how it works. There is over 18,000,000 millions shipping containers scattered around the worlds oceans at any given point in time. The loss of these containers and a lack of visibility of the container at sea can have hamper the supply chain management – from shippers to the receiving companies. As a result, shipping containers attract substantially hiked insurance premiums, and the reputations of the companies involved can be damaged. The GPS Container Tracking system puts company in complete control of containers anywhere in the world offering cost effective container visibility and key data analytics. Globalsys low cost active RF tags work in a totally unique way by reporting back detailed information every 30 seconds whilst in motion. The tags relay: time, temperature, tamper speed, latitude, longitude, battery information, shock reports, and relative signal strength indication (RSSI). Depending on which battery is selected to power the tags, they will remain operational for up to 5 years reporting in on a 30 second cycle with a D cell battery. Globalsys Global Positioning System also extended to other device such as car and luxury goods. Globalsys Shoppingctr is a one stop destination for anything you wish to buy. We source the best that item that available in the market and strive to provide you with the easiest and fun shopping experience. Our online store is well laid out and easy to use, making your shopping experience user-friendly. However, Globalsys constantly try to improve the layout and navigation of our site by listening to users and customer feedback. Globalsys Shoppingctr developed by state of the arts search engine technology and most streamline check out procedure you can find in the market. Globalsys Shoppingctr currently accept most popular online payment method such as Paypal and Alipay. With solid experience on SME business software development, a state-of-art B2B sourcing platform WorldSources.com was launched in 2008. GlobalSys strongly believes that SME will be the engine for future growth of global economy. However, unlike big companies, SME may not have enough resources and talent pools to develop system to approach potential buyers in an economical way. Nevertheless, SMEs account for 99% of business numbers and 40% to 50% of GDP globally. There are 42 million SME just in China alone and contribute 60% of China's GDP. Majority of the SME are facing the same problem which is lack of cost effective promotion and the need to increase productivity. WorldSources.com is an online business-to-business (B2B) trading platform that leverages the power of internet and mobile technology to facilitate trading and provide promotion channel and supply chain management tools for SME. Traditionally, this kind of services is only available to large corporations due to high cost. WorldSources.com offers different services and tools to small/medium size companies around the world in a reasonable and affordable price. WorldSources.com currently has more than 2.6 million global buyers and suppliers actively engaged in the site and WorldSources.com is the only truth B2B search engine site based on Google like search engine technology. With one of highest Traffic B2B sites in Hong Kong with 400,000 daily visitors and 3.5 million page views (PV), WorldSources.com is very strong marketing tools for buyers and sellers across the world. WorldSources.com is one of the world's leading B2B portal assisting suppliers to connect with buyers all over the world. As a WorldSources.com member, you may purchase related searching keywords or advertising banners for your products and services to ensure high ranking priority and create your international image. WorldSources.com is one of highest traffic b2b site which covers a wide range of business sectors. The ranking in Hong Kong is only next to HKDTC and GlobalSources. WorldSources.com provides sourcing solutions and business opportunities' solutions. WorldSources's Economic Research Centre will deliver you current world economic news and trade shows, which may affect your business or direction of decisions. Automatically match premium members with their buying leads categories or keywords. Actively promoting your products and services on a regular basis among three million and plus highly engaged WorldSources's members. 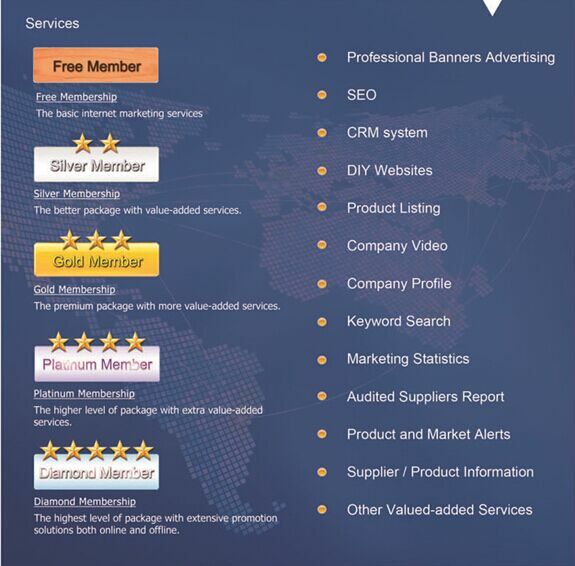 More than three million premium worldwide buyers and suppliers actively engaged in WorldSources.com platform and the number is still growing. Based on Google like search engine technology and easily to match with your keywords. WorldSources will pro-actively promote your products and services dislike traditional platform. Specialized in after sales and customer care services. More product display with priority listing, exclusive access to buyers before free members. Product Showcase and stronger visual impact to potential customers. More promotional opportunities to worldwide buyers. Premium Company Website to improve company image. Regularly post your information to worldwide search engine sush as Google, Baidu and Bing (SEO). In the business process, stand point of SMEs/MEs needs is similar to that of bigger company. However, they have faced several constraints which limit them to acquire traditional Client/Server based software, mainly due to financial and technical constraints. GlobalSys has decided to combine the state of cloud computing technology together with years of experience in SME business software development to develop the next generation of ERP in SaaS (Software as a Service) model. GlobalSys strongly believes that SME will be the engine of future growth of global economy. However, unlike big companies, SME may not have the resources to deploy complex system like SAP or Oracle. Nevertheless, their requirements are more or less same to big company. Therefore, we hope WorldOffices can become the next Outlook or MS word for them. It is crucial and necessary to streamline SME's daily operation at affordable cost. Currently, WorldOffices enables pre-configuring process of best practices of import/export trading companies. Without spending on IT infrastructure, smaller company can enjoy complete solution of a full scale management software like ERP which traditionally only available to large-scaled company. In addition to this, by using WorldOffices EAI/EDI interfaces, company can link with major global enterprises. This is the future trend of servicing millions of business around the world as a platform. WorldOffices / Cloud Computing ? Worldoffices is fully integrated management software operate in a SaaS platform that leverage the power of the cloud technology to provide complete solution for SME Trading Company. Worldoffices enables preconfigured process of best practices of import/export trading company. Without the needs of IT infrastructure smaller company can enjoy the management software like ERP which traditionally only available to large scale company. These services are broadly divided into three categories: Infrastructure-as-a-Service (IaaS), Platform-as-a-Service (PaaS) and Software- as-a-Service (SaaS). Price and cost calculation, multi-profit margin, price based on costing/BOM analysis, simulation costing function, dual pricing for a single quotation, duplicate function for revising quotation, list of quotation history, and so on. Automatic generation of P/I from multiple quotations or P/Os, agent commission invoice, payment term, multi-level price adjustment, description and side marking. Multi-unit enabled, changeable pre-set memo text, task report for order follow up and alert system, partial shipment schedule enabled, generation of MRP according to BOM for costing analysis, duplicate function for re-ordering, list of P/I history, online perview of profit & loss, etc. Price comparison report from different suppliers and linkup with the P/O, integration with the price Comparison Module to preview the supplier's quoted price of the subject product online. 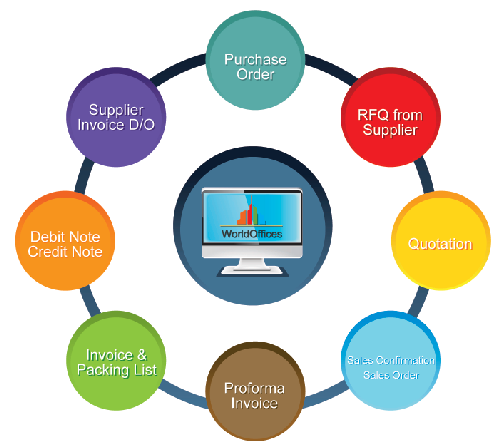 Automatic generation of invoice from P/I, multiple proforma consolidation, partial invoicing, online checking of pending quantity, invoicing of sample order, over-and short-shipment enabled, remainder enabled for P/L, flexible price adjustment while invoicing, dual unit pricing in an invoice, online preview of invoice costing sheet, linkup with EDI to generate Trade Declaration Export Form and A/R module of iTrader Accounting System, and so on. Automatic generation of multiple P/O from P/I, generation of P/O of material according to MRP, split order, partial shipment enabled, task report for alert system, linkup with EDI to generate Trade Declaration Importt Form and with supplier D/N to check the outstanding quantity, list of P/O history, etc. Linkup with Accounts Payable module iTrade Accounting System. WorldOffices uses a proven methodology named "WO Rollout" based on best practices from many industries. WorldOffices consultant will go hand-in-hand with you to identify the needs of your office and provide the documentation that describes the scope of the project and a comprehensive project planning that will ensure a successful deployment of the system. 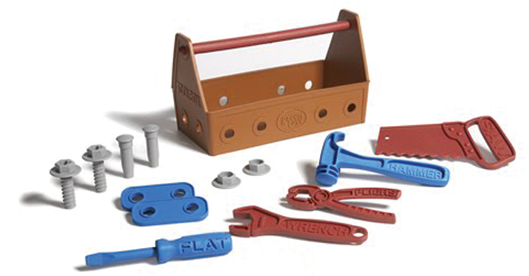 WorldOffices consultant and engineer will customize the system according to your requirements. Before system goes live, WorldOffices consultant and engineer will use a proven successful checklist called "WO go-live checklist" to ensure all the tasks are completed before going live. Before going live, WorldOffices will ensure end-users receive sufficient training. WorldOffices will provide training in different ways to fit your need based on your job roles. All customers are automatically enrolled in WorldOffices Support program, so you can use our self-help resources any time and call with questions. You can call our hotline during office hour. Data migration is the most important activity determining the success of an ERP implementation. Effectively migrated data is a demonstration to the stakeholders that the ERP system is an accurate reflection of their current organization. Our standard way of performing data imports is to provide our customers with a set of pre-defined standard EXCELS import templates to be populated. WorldOffices Trainers offer a wide spectrum of training courses and formats, including classroom training at WorldOffices training locations. Globalsys Logistic System is an innovative developer of software solutions for the international and domestic logistics industries. We provides the most sophisticated and comprehensive end-to-end logistics solution in the world and forms an integral link in the global supply chain. From single-office businesses to large multinational companies worldwide, our clients are able to improve their visibility, efficiency, quality of service, and profitability by adopting our next-generation technology. Container Depot System - was written specifically for management container depot operations to manage the tracking and daily reporting needs. The software is handling containers daily, and performs the functions of gate activity, lifting, reporting, and M&R estimates. Ocean and Air Shipment System, - To handle Bill of lading, HAWB and MAWB management, job costing, booking management, cargo manifest, delivery notice etc. Warehouse Management System (WMS) is fully integrated with Sales, Purchase, POS and Production to fulfill the requirements of Trading, Manufacturing, Wholesale, Retails and Logistic industries. WMS supports Lot # control, bin # control, serial # control, expiry date control, QR code and 2D barcode readers. 8. Stock Balance, Stock Transaction List, Stock Costing Sheet, Stock Movement and Stock Aging. Globalsys Auto Inventory Control System breaks new grounds in how RFID-based inventory can drive tangible value in the Apparel, Luxury and Retail industry. Built on a proven technology foundation and optimized to deliver on the promise of RFID, it’s a complete system with hardware, software and the deepest experience in the business. Globalsys Auto Inventory Control System item-level RFID enables the most rapid and accurate counting possible: 100 times faster than barcode and manual. At a read rate of 100s of items per second, a complete cycle count can be accomplished in minutes, and the time needed for counting and auditing tasks that once required multiple people and took many hours to perform can be reduced to under an hour. Globalsys Auto Inventory Control System speed and accuracy enable you to perform inventory checks when they work best for you, including non-operating hours: prior to opening for business, or after closing. When inventory turnover accelerates during holiday shopping periods and back-to-school season, you can easily track the movement of inventory, finding, counting and restocking merchandise left in the dressing room or shopping cart, as well as what’s on the shelf or in the back room. Monitoring the shelf and rack movement and understand about shopper behavior in a more effective way. Our innovative solutions deliver actionable and accessible data to ensure profitability for our customers and a sustainable future for all. From measurement and network communication technologies to software and data analytics, GlobalSys’s innovative products, breadth of solutions and value-added services have catapulted us to a position of global leadership. GlobalSys helps thousands of utilities worldwide optimize the delivery and use of energy and water by providing intelligent metering, communication and utility software solutions. No matter what challenges you’re facing — from improving operational efficiency and optimizing costs, to connecting with and empowering consumers — GlobalSys delivers a broad array of integrated products and services to help your utility meet key operational and strategic objectives and thrive amid the energy and water challenges we all face. Globalsys System Asset and Property Management System helps gain a prospective view of your assets and manage through possible changing conditions optimizing cash flows and maximizing returns. By introducing Globalsys System Asset and Property Management System Company can Maximise income and reduced expenditure and Streamline reporting and data presentation. Globalsys System Asset and Property Management System provides the capability to handle either simple or complex property data structures; incorporating owner, landlord, site, land, property, tenant, customer, occupier, lease and agent relationships. For transaction management, Globalsys System Asset and Property Management System has comprehensive, project based acquisition and disposals functionality. FinanceSys.com is a one-stop solutions provider devoted to develop and produce advanced financial technology solutions, information services and system integration for both corporate clients and individual investors. We provide real-time electronic financial data and analytics, by using a range of streaming financial data, interactive charting tools and comprehensive investment analytics, FinanceSys.com can provide a complete suite of information products covering equities, derivatives, global foreign exchange and precious metals markets. FinanceSys.com services are delivered into two product lines: Technical platform based and Software terminal based. Both product lines allow financial information to be integrated into clients' website or software platform.